Though it has been around for many centuries, Milk Thistle appears to be enjoying a modern boom: Data from 2011 reveals that Milk Thistle was the #6 selling herbal dietary supplement in the United States, experiencing a 14% growth in sales over the previous year. Why is it called ‘Milk’ Thistle, anyway? A prickly plant related to the daisy, Milk Thistle is recognized by its eye-catching purple flowers. It is named, however, for the milky-white sap that oozes from its leaves when they are crushed. How Does Milk Thistle Extract Work? How does Nature’s Origin make Milk Thistle better than ever? Nobody wants to take capsule after capsule of Milk Thistle. That’s why Nature’s Origin Milk Thistle undergoes advanced manufacturing techniques that concentrate the seeds into a potent 4:1 extract. This means each Nature’s Origin 250 mg rapid release softgel supplies the equivalent of 1,000 mg of Milk Thistle Seed. We are proud to make Milk Thistle convenient and easy to take, but prouder still to present this legendary herb in its true, earth born form. 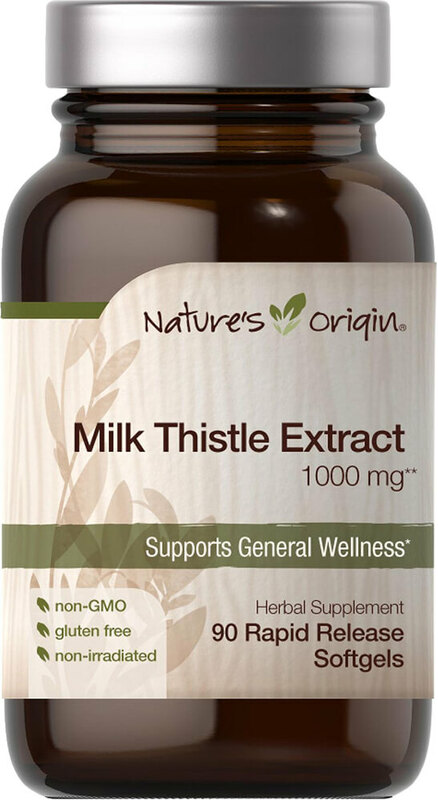 Why Take Nature’s Origin Milk Thistle Extract?